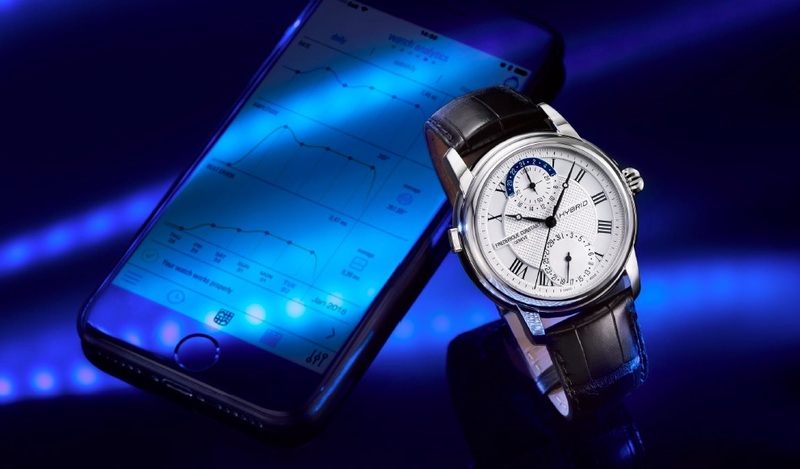 At a time when traditional luxury watchmaking behemoths are battening down the hatches and struggling to remain relevant in the face of the smartwatch boom, the Frédérique Constant empire is thriving — expanding its horizons, crafting timepieces to take on Apple, and embracing the digital era via crowd-funding platforms like Kickstarter. Here, the man at the helm reveals his blueprint for the future. Having presented the first “outdoors” smart watch (the Alpina Alpiner X) at Baselworld — which was initially launched on the Kickstarter crowdfunding platform — and fresh from unveiling the world’s first mechanical smartwatch on the commercial market, Frédérique Constant is a company which has met the challenges of the evolving luxury landscape with enviable ease, refreshing panache, and a boldness which has branded them a ground-breaking game changer in the industry. Yet, while this avant-garde approach has undoubtedly elevated the brand to new heights of late, co-founder and CEO Peter Stas reveals that savvy innovation is a key driver which has always been at the heart of house, and its subsidiaries — Alpina and Ateliers of Monaco. “It's really in our DNA to constantly look around and see what possibilities there are to combine technologies into a new application,” he says. Committed to pushing the boundaries of traditional luxury limitations and having recently joined the fold of the Citizen Holdings corporation, Stas reveals that Frédérique Constant is now looking to venture further into relatively unexplored territory — pushing into new markets, and pioneering novel technologies — including the integration of health tracking apps within its watches. In perfect synchronicity, the Frédérique Constant brand has also recently renewed its partnership with Oscar-winning actress and Goop wellness mogul Gwyneth Paltrow, officially the brand’s global charity ambassador, and a steadfast admirer of the group’s “strong value system”. Armed with such support, and upheld by the pillars of sleek design, Swiss-made quality and cutting-edge invention, the Frédérique Constant manufacture seems destined to continue with its winning streak — defying convention, embracing the future, and conquering new frontiers with each and every step. Here, we speak to Frédérique Constant co-founder and CEO Peter Stas about his vision for the company, what’s next and how their timepieces maintain a competitive edge in a crowded market. Tell me a bit about the Frédérique Constant brand, its beginnings from 1988 — what was the impetus behind its creation, into a relatively saturated market? What we saw at the time, during the quartz crisis, was beautiful watches in Switzerland from five thousand to ten thousand Swiss francs, but then, out of Asia, quartz watches which were costing a few hundred dollars, and which were keeping exact track of time, were water-resistant, and seemed to function quite well. Our idea was to use some of those technologies — so quartz calibers at the time — to make traditionally more Swiss-looking watches. So, merging new technology, at a lower price point, but still offering typical, classical watch design and Swiss quality. What is your brand's competitive edge? What makes customers choose a Frédérique Constant timepiece when they have so many options on the market? We've done some research on that. Firstly, the customers always come to us because of the design of the watches — that's always the number one reason they mention why they buy. Then after that, the second reason is that they notice that our prices are much more accessible — in sync with this accessible luxury positioning we have which is: "Let more people enjoy luxury” — and that's what then leads to them taking the final decision to buy. 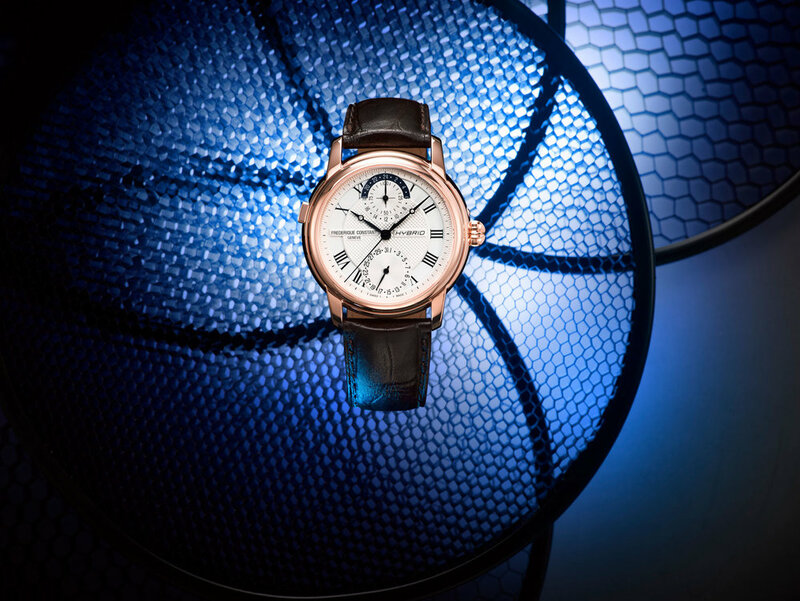 Traditionally, the tenets of luxury have been about exclusivity, very expensive prices, and restricted, limited access —Frédérique Constant seems to be the opposite of that. How then, do you define luxury? For over the 30 years accessible luxury has been our positioning, and this is how we grew the company from nothing to where we are today. I think perhaps in the past 10 years, people have become more critical, sensitive for ‘too-high’ prices — especially in the watch industry, where some of the brands have increased prices far too much. But I believe even 30 years ago, it was very clear that young people, say 30 to 40 years, couldn't afford a watch priced at 5,000-10,000 Swiss francs, but the quality option available to them was something like what Frédérique Constant offered. So, when I speak for us, luxury really is about a classical type of design which has a timeless elegance, with a lot of attention for detail. Craftsmanship is involved, but there is also a certain balance in design, which is required to make it timeless. So for me, it's very much driven by that in terms of product. What is the company is now producing each year for Frédérique Constant and its sister brand Alpina? So for Frédérique Constant, we're producing about 160,000 watches per year now in the price range, mostly the price range, one thousand to 5,000€ retail price. Alpina is positioned a little bit lower in terms of price. They're more in the, say the 600-700€ to 2000€ range. They produce now about 25,000 pieces per year. The Frédérique Constant company also owns Ateliers de Monaco, the manufacture you launched in 2009 — what was the push behind its creation? So we had a few watchmakers inside the company, very talented watchmakers that were also involved in the creation of our manufacture’s calibers, and they wanted at one stage to start for themselves. We convinced them to stay inside the company and gave them then some shares in this brand, Ateliers de Monaco, and also helped them with the financing, but still, the deal there was that they would continue to work also for the Frédérique Constant group. So, Ateliers de Monaco was born to a large extent, as like an internal research and development department, and a way of keeping the best people on board and working with us. Frédérique Constant is now part of Citizen Holdings. What impact has this acquisition had on the brands, the products and the positioning that you have? On the positioning side, nothing has changed. Also on the leadership, still, the current mentioned team is responsible for the company, and continuing to run the company. Where Citizen has come in and where it has been very helpful is to expand distribution and increase production. For example, in the United States, in Japan, in the U.K. equally. And this is really where the larger group is important to be able to drive business. What have traditionally been your strongest and key target markets in terms of distribution, demographics and countries, and has that changed in recent years for your company? So we are worldwide, sold in over 100 countries, in about 3,000 points of sale, about 30% Asia, 35% Europe, 10% U.S., 10% Middle East, and then the balance Eastern Europe. Core target customers are business men and business women, aged 30 to 45 years. I would say there are always a few changes over the years. For example, Asia has actually gone down a little bit, while Europe has gone up ... and the Middle East, last year for example, has seen a few percent less than normal. But in general there, it's pretty stable. There are just small adjustments year by year. What are your targets for expansion? Mostly we are looking at building stronger distribution networks — especially in the Americas, for example — because we're underrepresented there. We are also looking at building more brand awareness and then, increasing our sales per store — as well as continuing to offer exciting, new products. Obviously Frédérique Constant is something of an innovator in the product space — how do you remain ahead of the curve, and exciting, in terms of design and technology? Well, basically, this has been the base of the company since 30 years, so it's really in our DNA to constantly look around and see what possibilities there are to combine technologies into a new application. And for example, in the smartwatch that we saw five years ago, we saw the possibility to start to display connected information by our gearbox, using Bluetooth technology, which was very much maturing at that stage, and then also capitalising on the penetration of smartphones. So, remaining relevant is really about seeing the opportunities by constantly looking around, visiting conferences, looking in other industries, and listening to what's happening. And we will continue to do that. When we see possibilities, we then start to discuss internally how we can apply these kinds of new technologies into our watches. Specifically, for example, I tend to go to a little bit smaller conferences. I just went to one in New York which was called ‘World Technology Summit’, where various new technologies came up, not so much in the wearable space, but a lot on the health side ... also encryption, privacy issues ... Another one was earlier this year, also New York again, called ‘Going Forward’, and then there are also some in Europe from time to time. Of course, one of the ways to stay up to date is also to go and visit various incubators, see what kind of technologies started working. As you can see though — all of this is clearly outside the immediate peripheral of the luxury industry. But sometimes its necessary to explore outside of the traditional luxury circles. And that's probably the problem of the industry — that they stay too much in their own box, and they're not looking a little bit wider, to see what's happening and try to branch out a little bit further than just a small design adjustment, or tweaking of that formula that they have been playing with for years. One of the latest innovations from Frédérique Constant is the world’s first mechanical smartwatch — how did you beat the other brands to it? Maybe they just didn't think of it. Or some of the things I mentioned before — that they are not looking outside so far. And initially, of course, it's always a process also, a process of denial. And still I believe that maybe in the industry believe that the smartwatch appeal and the threat of Apple watch and the like, will go away. But there are very heavy, very clear signs now which indicate against that — like the drop of three million watches in the past two and a half years — and I'm talking about the quartz watches there. But still, proactive reactions to those signs are not what I've seen and what I would have expected, nor what I've observed in Basel [at the Baselworld event] when I spoke with various people in various companies. What is it like to be a game changer in the industry then — how has the industry reacted to your company, as a luxury player who is essentially a bit of a dark horse? Well, I think still most of the other CEOs do not appreciate me being too explicit about this. But in general, there is still very much a broad resistance to what is coming and what is happening. And I don't know if it's pride or if it is maybe typical of incubate industries, but unfortunately it hasn’t yet resulted in a progressive reaction — like broader collaborations, which I think are necessary, because many of the brands, including ours, are relatively small companies even if we are experimenting with new technologies — especially if you compare us to the big guys from Silicon Valley. Industry-changing technology is often the result of companies working together develop that, and then going off into their separate niches for different markets and brands and consumers — so I believe to evolve more as an industry, it is necessary to work together more on that — but that kind of collaboration, unfortunately, is not yet happening. One of the other innovative things that you have done is launched a watch on Kickstarter, which again, is something quite new, especially for a luxury brand. 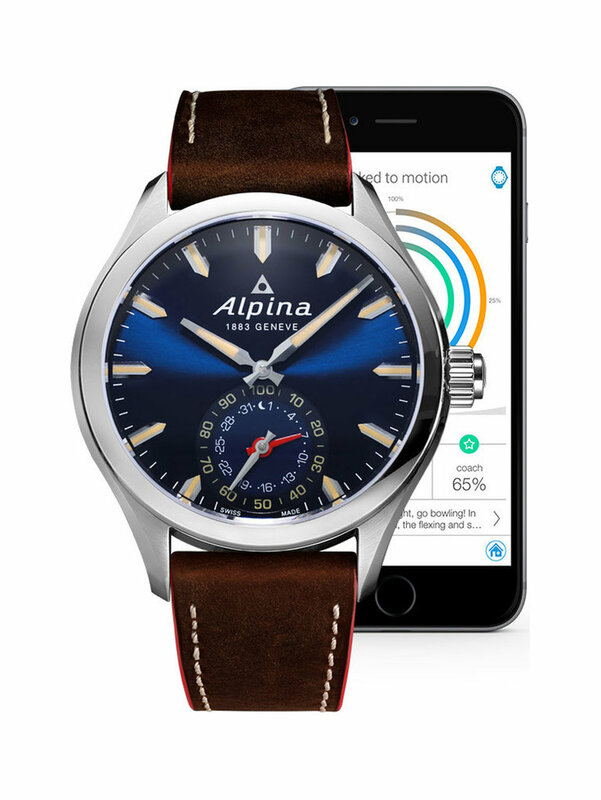 So how did that idea come up to launch the new Alpina AlpinerX Outdoor smartwatch on Kickstarter? What led to this idea? We were really looking to engage with a larger community, and of course the crowdfunding platforms are ideal for that, and you really have the early adopters there who are very vocal, who really detail what they like and what they don't like. So, we had a configurator with 3,200 different designs, and over the Kickstarter campaign we added a number of straps, dial rings, and combinations ... So we ended up with almost 19,000 different designs, and so it was quite important to get good feedback. We had something like 2,300 comments during the campaign, so via this watch configurator, we have been able to really learn a lot. it's also a way to validate a new kind of product, because the AlpinerX — for example — is a new combination of technical DNA of the Swiss watch, having a dial, hands, and a rotating bit (bezel) for example ... but at the same time, also having digital screen. And this was for us also, a really a new step, so we felt it would be good to have immediate feedback. With a crowdfunding platform like Kickstarter, you get this feedback from the crowd in a very organic way. So what it has done mostly is given us insight, but it also is very much a tool to get strong input on where to go from here. So it's very much a primer for innovation to come. On that note of new ventures, and where to go from here — you've been very vocal about the health boom, and how that can be integrated into watches via tracking apps, etc. Is that something that you will expand into quite heavily in the future? We’ve started already with the AlpinerX, by adding this new UV sensor, which will give our customers feedback on the sun they're being exposed to, how much and when it becomes unhealthy. And we will start to experiment and start to learn with that. Then we’ll be working very hard on getting multiple health insights integrated — not so much only the activity trackers and sleep patterns, but also the correlation with moon phases, with weather conditions, with other influencers, so that we are able to give much deeper feedback to the wearer from data — and there I think we are really at the beginning of what's possible. Also what's very important there is that, that's where the smartwatch functionality becomes really intriguing, because you can measure other things with your phone, but you cannot measure it 24/7 on the body. And then you need to have either a tracking device or a smartwatch on your body to be able to measure that regularly, a,d start to give customers feedback on the historical data over a longer period. So to me, it's very clear that that's where this evolution will develop, and that Is what will make it essential that others in the industry follow — because if they don't, then you will get certain devices that will help people to live a better — and this can only be done by multi-sensors or smart devices on the wrist or somewhere else on the body. What other challenges and opportunities do you foresee for the future of your business, and for the luxury watchmaking industry as a whole? I think that the challenge and the opportunity as an industry and also as a brand, will be to explore and experiment in a little bit more on developing innovative products, and ensuring that we find — together — the road there to success. But [despite the challenges], I truly believe that the Swiss industry still has very much has a ‘leg-up’ there in keeping Silicon Valley guys at bay — because still people want to have individual, unique designs. There are different tastes and different price levels, and this is where the Swiss watch industry as a community has shown to be very successful and to excel in the past 20 years. For us as a company itself, there us also the typical ramping up of production to note. We are in the middle of the construction of an additional factory of around 30,000 square feet, and there are always the nitty gritty operational issues to watch out for there. So that's a temporary challenge for us to tackle right now as well. What does your content and marketing mix look like now? How do you attract your customers and keep them excited about what you're doing and make sure that your voice is heard? A lot of attention is still placed on the points of sale, with good displays, training, merchandising, materials, to engage the people in person on the sale floor. Then we do print advertising in various luxury magazines and watch magazines. Then we have an online department that is attacking the scope there from display advertising, search engine advertising, and also from time-to-time Facebook and social media. So we're quite broad there and have a 360-degree approach to the different channels. How are innovative digital platforms — such as Tidlrs.com — assisting luxury brands such as yours to enhance their visibility and sales on an international scale? I think we're using some [digital platforms like that], but that's still something which we should further explore. We also use content marketing, in the sense of PR outreach. We have something like 8,000 articles published per year, and we also advertise on some of the top editorial platforms. We have articles published that way occasionally, about specific watches or an industry perspective or interesting things we are doing, so that’s useful. The brand recently renewed its global partnership with actress Gwyneth Paltrow — what part do celebrity ambassadors and social media influencers play in your global branding and marketing strategy? The partnership we have with Gwyneth Paltrow goes much deeper than just social media. We use her image in points-of-sale again, in various publicity materials, on the websites. We have also events with her for the launching of celebrity collections, where we find top customers, for example. And so, again we take a much more a broader approach, on multiple channels. But social media, of course, is one of them. Corporate social responsibility and the charity aspect is also another facet of the Frédérique Constant brand — when did that begin, and where does that fit into the brand’s values? That's of course also another important aspect of the company, which really developed in 2007. We were sponsoring various charities around the world ... International Children's Heart Foundation, World Heart Foundation, American Heart Association, and a few others — and out of that came a collaboration with Gwyneth Paltrow, who we met in Los Angeles at one of the charitable evenings. She was very enthusiastic about collaborating with us as a Charity Ambassador and on our side we also promote and donate to her main charity, which is DonorsChoose. All these activities are really born a little bit out of the wish to do something back. We started this as a family-owned company — and we’ve grown since then — but it's a good thing to do something in return, so we keep on doing that still, and the Frédérique Constant Foundation, which has not been acquired by Citizen Holdings, is still a stand-alone foundation that's supporting various charities. How do you measure success at Frédérique Constant? In line with that core purpose [of making luxury more accessible to the masses], we measure success really in growth. Typically, we look partly to quantities and also in terms of revenue. So that has always been a relatively simple way of looking at the business, but a method which works very well for us. We've never really looked at profitability, its more about growth of the company. Manfred Fitzgerald during our interview at the Pullman Casino Hotel in Cannes. What's is key to sustainable growth? We’ve recently seen Richemont destroying millions worth of watches due to oversupply — so how do you balance remaining luxury while still expanding and making your products more accessible? I think the buyback initiatives are more done because watches are ending up in the grey market. I'm not really sure that the concern is that the watches are being bought by the wrong people — as long as they buy at full price, Richemont probably they would have been happy. 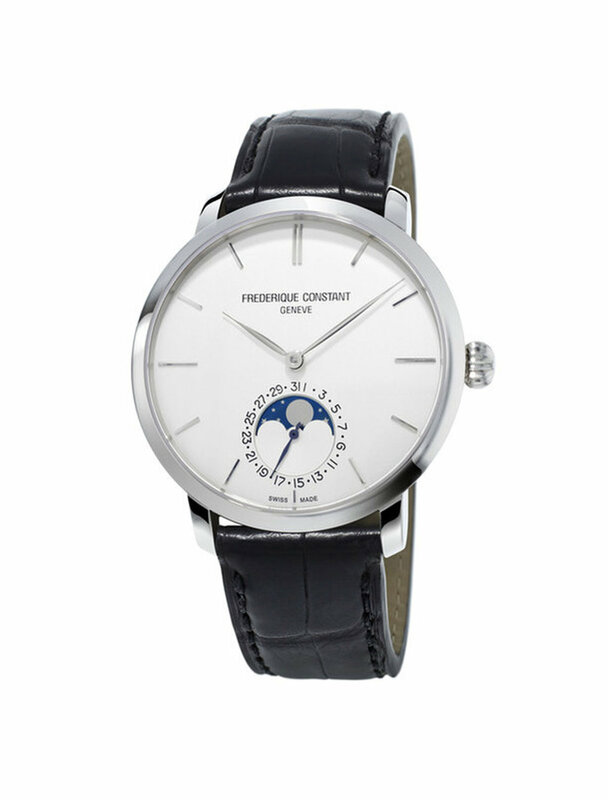 In our case, the Frédérique Constant brand is really more a modest brand. What I mean by that is that people buy it for themselves, so its less about image, so to speak. We say yes, it's a watch, it's a luxury item, and they're going to wear for 20, 30 years — but it’s still a buying decision that is built up over a long time. Typically people look seven to nine times at a watch before they finally decide to buy. So we are not concerned that our watches will end up on the wrong wrists. Today we still compete with some bigger brands in the watch industry, but we are smaller and we are less known — and that’s logical, because part of that has to do with the time that we’ve existed for, versus some other brands that have been in business for over a hundred years. But it also has to do with the amount of money, of course, that's being spent by some of the brands on advertising. So we have always had an incremental approach, meaning that every time new and exciting products get enough attention, enough excitement that’s where we look at the advertising approach. And for us, that way has always worked best and we will continue to do that to grow the company step by step. Your latest new and exciting product is the Hybrid Manufacture mechanical smartwatch — the world’s first 3.0 watch — could you tell me a little bit about that? How would you introduce it to the customers on Tidlrs.com? We were the first Swiss Watch Manufacturer to introduce the Horological Smart Watch in 2015. Now, we are the first to combine a Manufacture Mechanical Caliber with Smartwatch functionality. So, it's a watch where we combine three technologies. 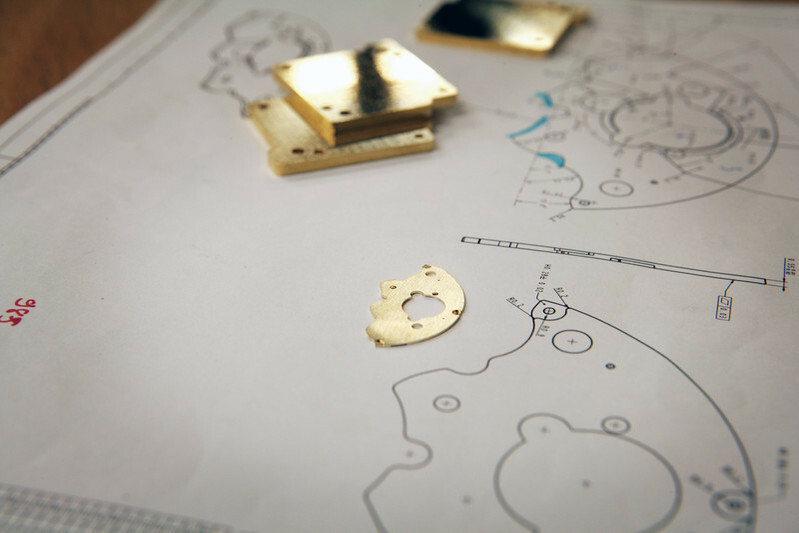 One is the making of the manufacture caliber, and what that means is a caliber that is-house developed, in-house produced, and in-house assembled. And then, we add to this mechanical caliber an electronic layer, where we have the smartwatch functionality. And the third is that we also, with the electronics, we measure the mechanical caliber, so we measure the MPG, the rate, and the beat error. We can also give the customer feedback via the app on the condition of the mechanical caliber. So that's also the revolutionary combination that has never been done before. Having the manufacturing caliber with a mechanical caliber, with smartwatch functionality and analytics capability all wrapped in a smooth hybrid new caliber. To buy online, we have a pre-order campaign, where customers can list their details — but mostly the sales will be via the 3,000 points-of-sale around the world.